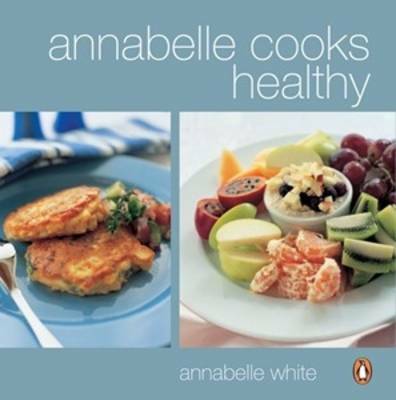 "Annabelle Cooks Healthy" is Annabelle White's latest collection of recipes brining you more great cooking in the tradition of "Best Recipes", "Simply the Best" and "Annabelle Cooks". This title offers: light and refreshing breakfast ideas - buttermilk waffles with fruits salsa, bircher muesli and fresh fruit; brunch suggestions - seafood kedgeree, tuna, spinach and feta panini; inspired lunch ideas - Greek salad with tuna, salmon cakes; afternoon pick-me-ups - glazed lemon and buttermilk cake, deliciously reviving juices; and, fresh and vibrant dinners and desserts - slow cooker lamb shanks, steamed fish in white wine, wok-style vegetables and stir-fries, warm fruit salad. This title is presented in Annabelle's easy, can-do style using the latest appliances to save time and energy in the kitchen.